We ran into this cute year-old pup in a Hood River, Oregon park, sitting in the lawn, happy as a calm, and sporting his ski goggles. It's always good to get out and about--you never know what you'll see. 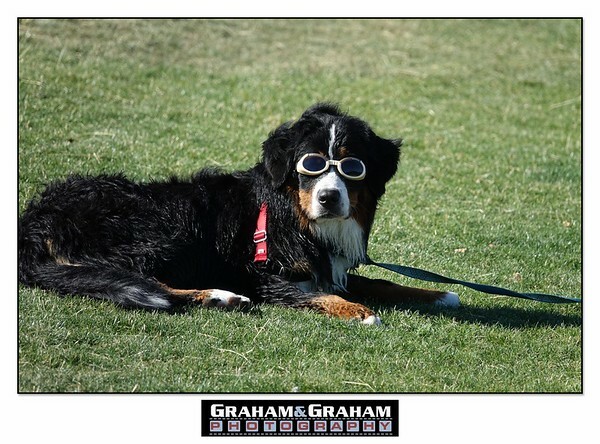 Photo by Graham and Graham Photography.